More on the ongoing dispute between the federal government and the state of California which could result in Metro losing more than two billion in federal grants. Why? U.S. Labor Secretary Thomas Perez says that California’s pension reform law violates the collective bargaining rights of transit workers, thereby disqualifying the state from federal transit funds. If transit workers win exemption from California’s new pension reform laws, police will demand exemptions as well, then firefighters, then nurses and teachers and clerks at theDepartment of Motor Vehicles. The law itself will be eviscerated. Neither the state nor local governments can afford to let that happen. If federal labor officials are unwilling to let states protect their finances by enacting pension reforms, it’s time for Brown and members of Congress – including U.S. Rep. Doris Matsui, D-Sacramento – to ask President Barack Obama to intervene. California’s pension reform law was hardly far-reaching. If the federal government won’t let states adopt even modest reforms, it won’t be long until there is a national backlash against collective bargaining on all levels of government. Nice piece on some of the proponents and opponents of California’s high-speed rail project, which will be routed through the farm lands western San Joaquin Valley. My favorite bit: the factoid that cows in France have adjusted to high-speed rail there, one reason to expect that California cows will do the same. New research puts some numbers behind the notion that transit tends to clump people together in city centers and where people clump, economies tend to grow. Sounds about right. Good article. Giant sequoias in Kings Canyon National Park. Photo by Steve Hymon. 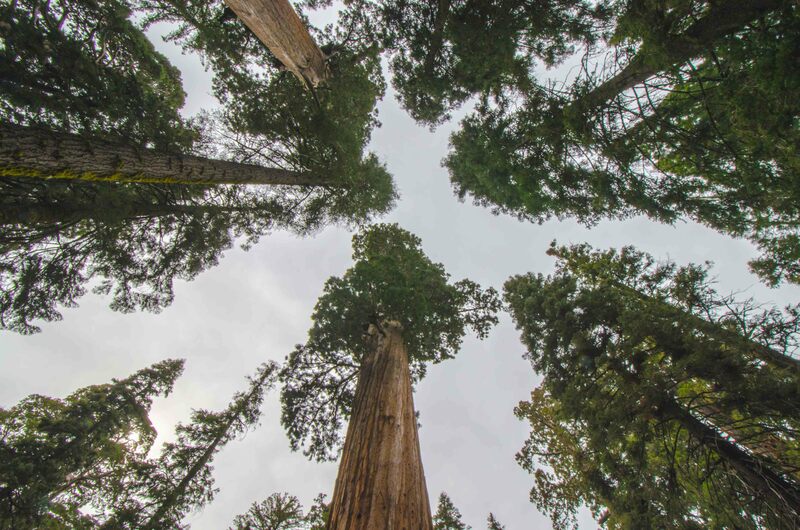 No one is certain exactly why but redwoods and giant sequoias in California (the trees are related) seem to be growing faster in recent decades according to growth records dating back to the year 328. Researchers think one possible explanation is that the growing season for the trees is larger because of warmer temperatures. There are other possible explanations, including changing fire behavior and reduced air pollution from lumber mills near redwood groves in Northern California.